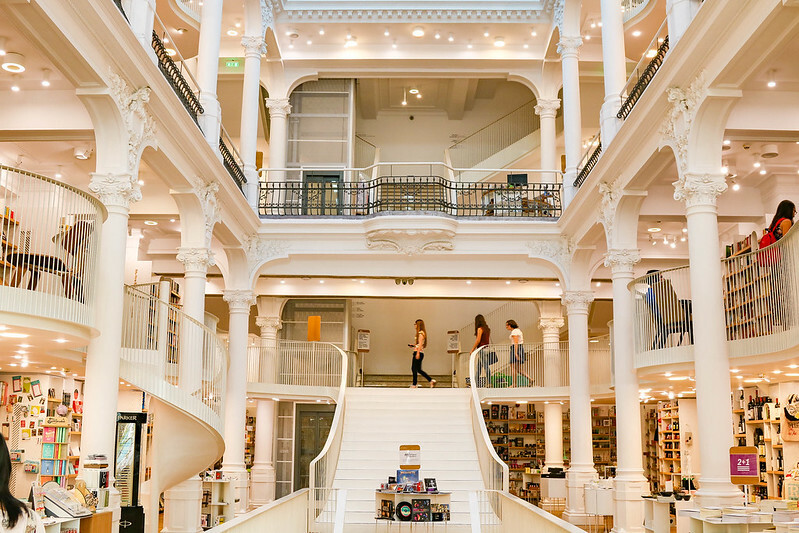 There are loads of things to do in Bucharest, Romania – it’s a pulsating capital. Granted, it’s a little rough around the edges, but that only makes it more interesting. 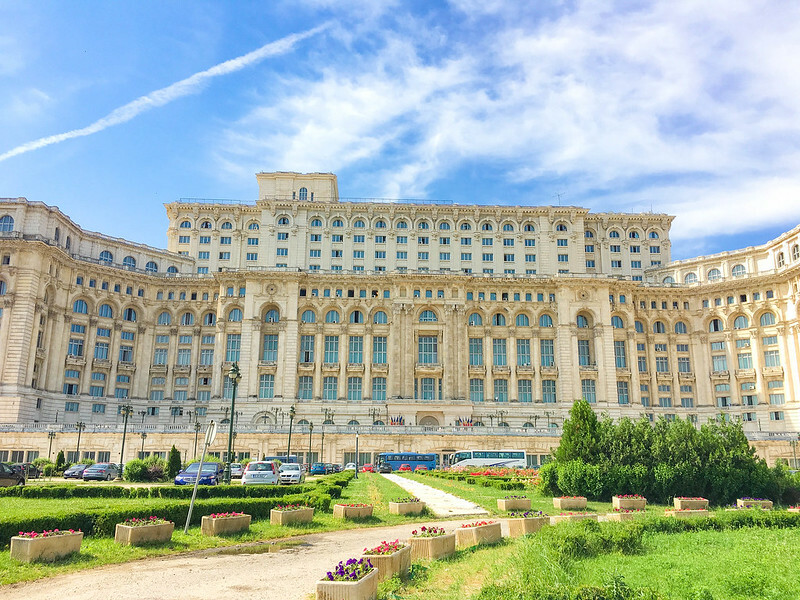 Bucharest is not your typical tourist destination with tour busses, selfie sticks and souvenir shops around every corner. No, Bucharest has its own thing going on. It might have a history of hardship and destruction under the communist regime, and the architecture may look like a strange clash of European styles and Soviet concrete left to time’s decay. 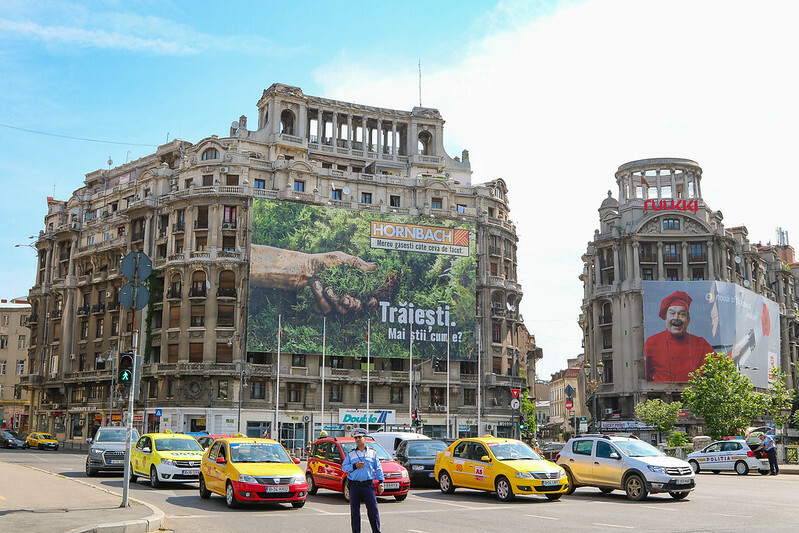 But Bucharest’s modern, classic and distressed appearance is what draws you in. 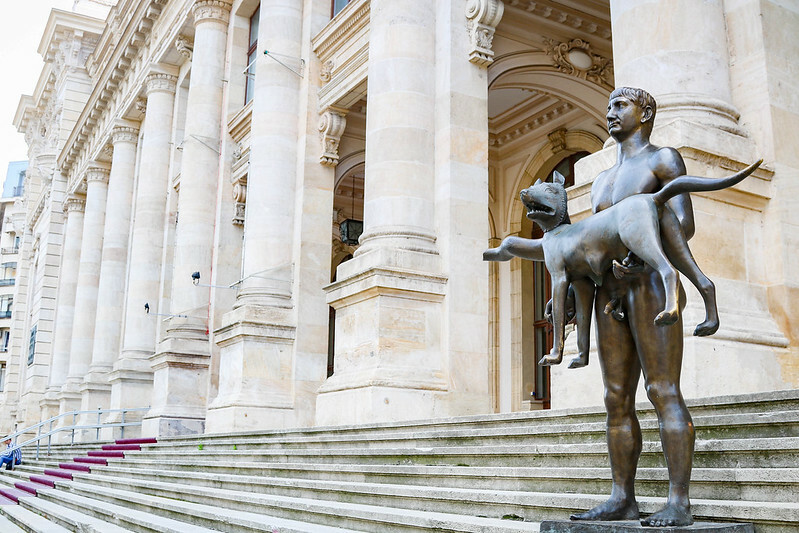 So, what’s your impression of Bucharest? Would you visit? 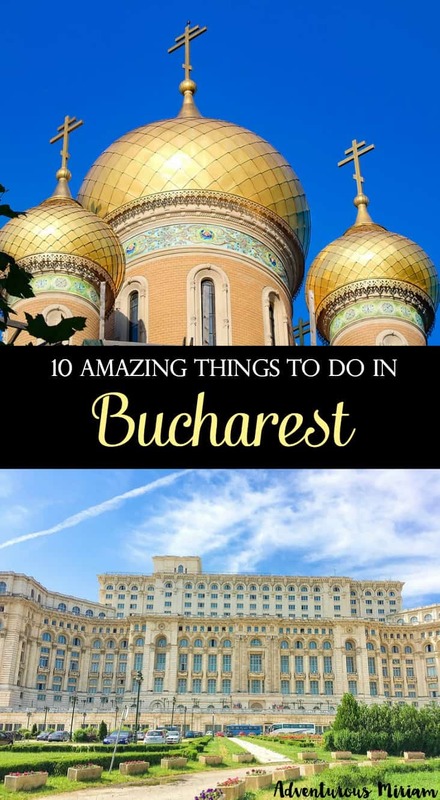 I’ve come up with a list of places and attractions you should check out if you’re heading to Bucharest. I saw them all in a day or two, so I’m sure you can too. 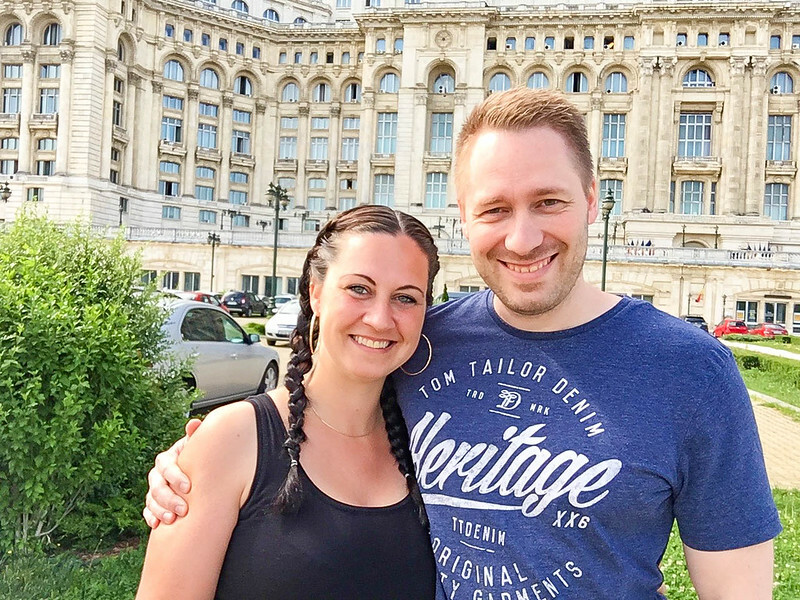 How to get around – Although Bucharest is fairly large (1.900.000 inhabitants), the highlights are located in close distance. I based myself in the Old Town and walked from one attraction to the next, except the Triumphal Arch. You can also rent a bike, take the metro or Uber your way around town. I would avoid Uber and taxis in rush hour, though. It’s really cheap and most sights are free – Only the Parliament Building and the National Museum had an entrance fee, but everything else on this list was free. Romania is super cheap compared to European standards. 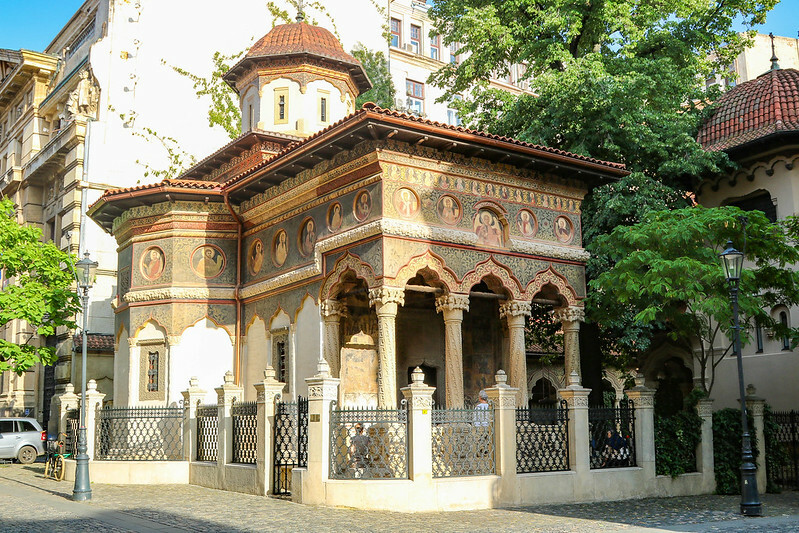 The Old Town or Lipscani (after the main street that crosses the area) is the heart of Bucharest. It’s not a classic European old town with medieval fairytale buildings like Dubrovnik, Riga or Tallinn. Nope, this is more a backpacker hangout for young party-loving travelers, filled with wine bars, pubs and hip restaurants. 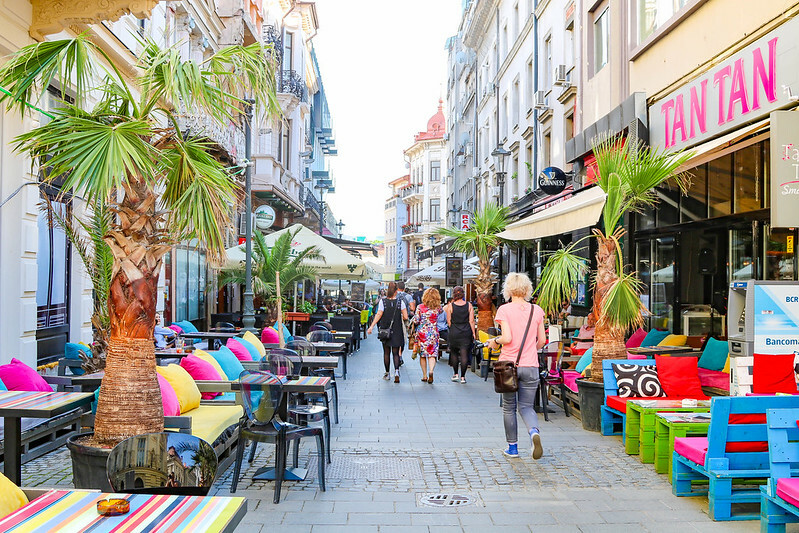 The historic architecture, the old churches and outdoor cafés make the Old Town a most vibrant area of the city. And even if you’re not there to enjoy the nightlife, it’s still very much worth visiting in the daytime. 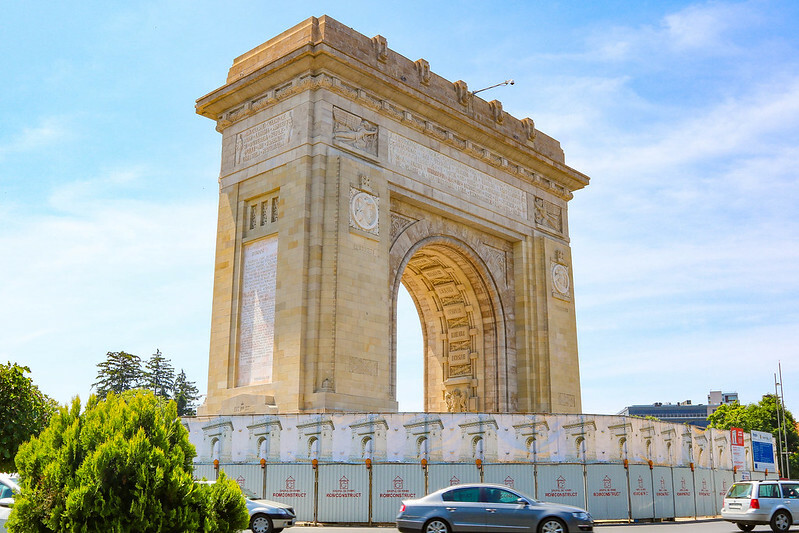 It’s a little smaller than the one in Paris, but Bucharest has its own Triumphal Arch. 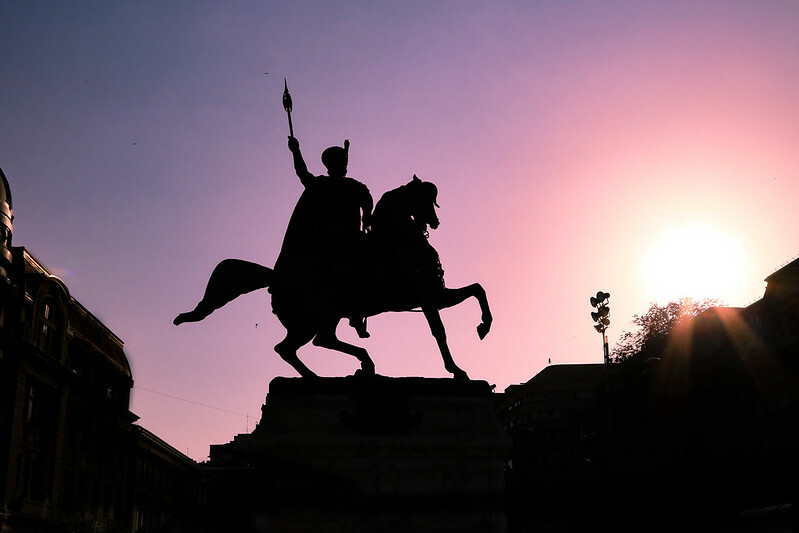 This version was inaugurated in 1922 to celebrate the victory of Romania in World War I, and today it’s one of the most notable landmarks of the capital. The top floor is sometimes open to the public, but the Triumphal Arch is placed in the middle of the road so it’s difficult to get near it. I got this photo from the car. 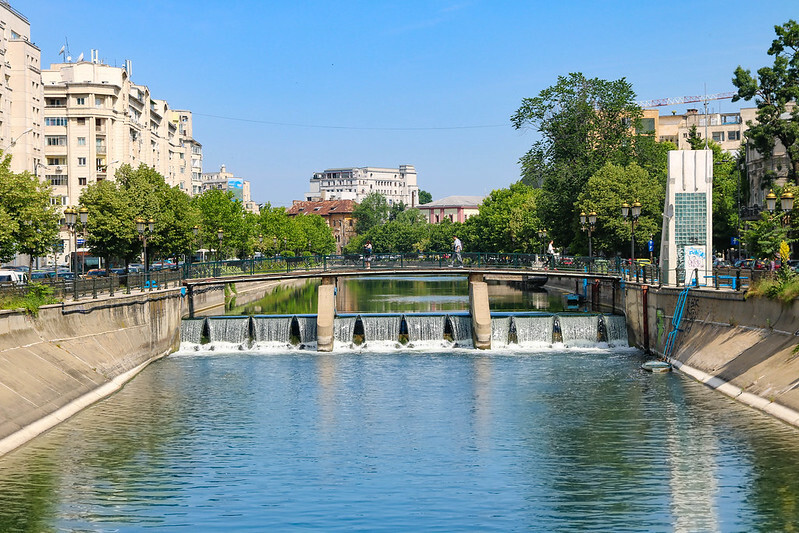 The walking tour Bucharest by locals is a brilliant way to be acquainted with a new town. I love to wander around and get lost on my own, but you get to see so much more – hidden gems, restaurant tips, etc – when you’re with a local. The best thing about these walking tours is that they’re free although the guides do accept donations if you’re able to. The National Bank of Romania is located in the Old Town and it’s a great example of the wonderful architecture you stumble upon when walking along the streets. It’s built in neoclassical French style with a Corinthian columns facade and an enormous central banking hall. 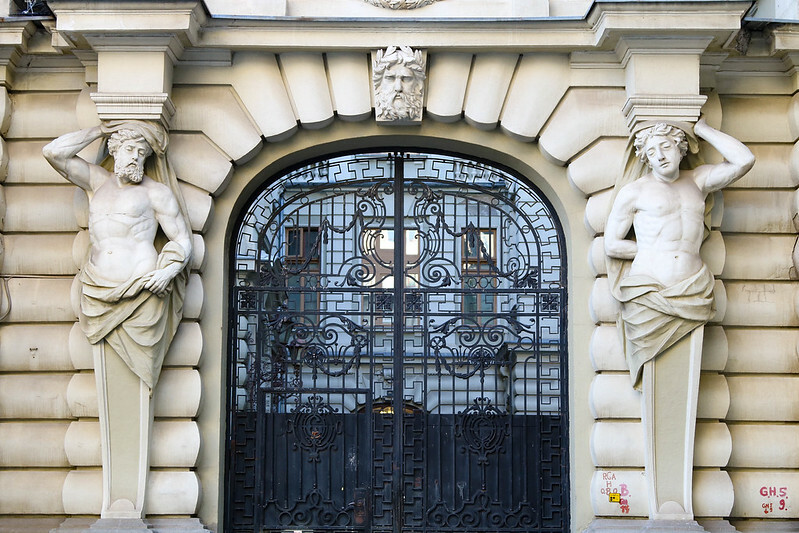 If you’re in the mood for architecture, head to University Square (it’s just 5-7 minutes walk from the Old Town). 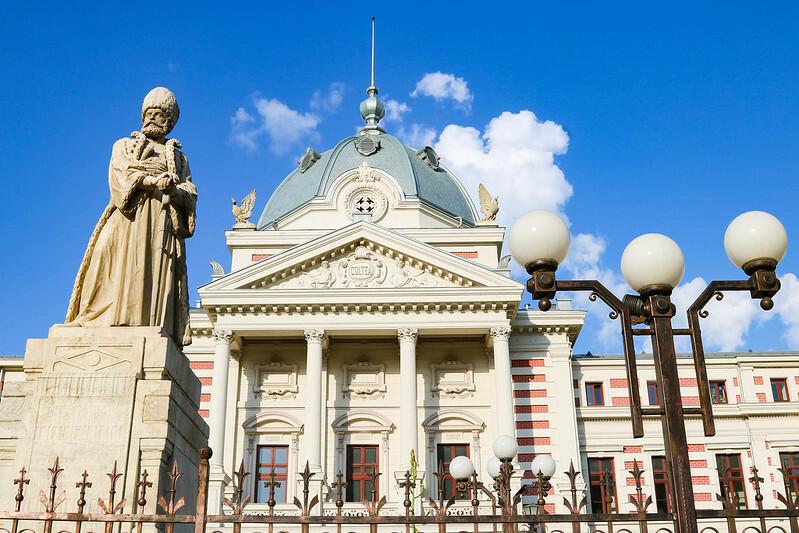 The four corners of the University Square unites some remarkable architecture, like the Bucharest National Theatre, the neoclassical Coltea Hospital and church, the University of Bucharest’s School of Architecture and the Bucharest History Museum. Ahhh, I love those Russian churches. They’re so colorful and cheerful, which is kind of odd considering how grey, dull and monotonous Soviet buildings are. I found St. Nicholas Russian Church accidentally on my way from University Square to the Old Town. 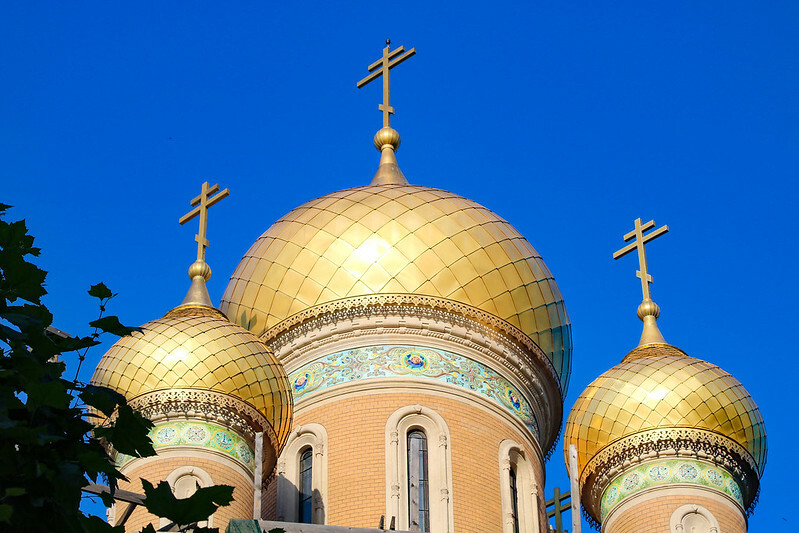 Its seven gold domes crowned with an orthodox cross towered high over the street so I just had to check it out. It’s definitely worth visiting if you’re in town. The National Art Museum is another landmark worth visiting, especially if you’re interested in art. 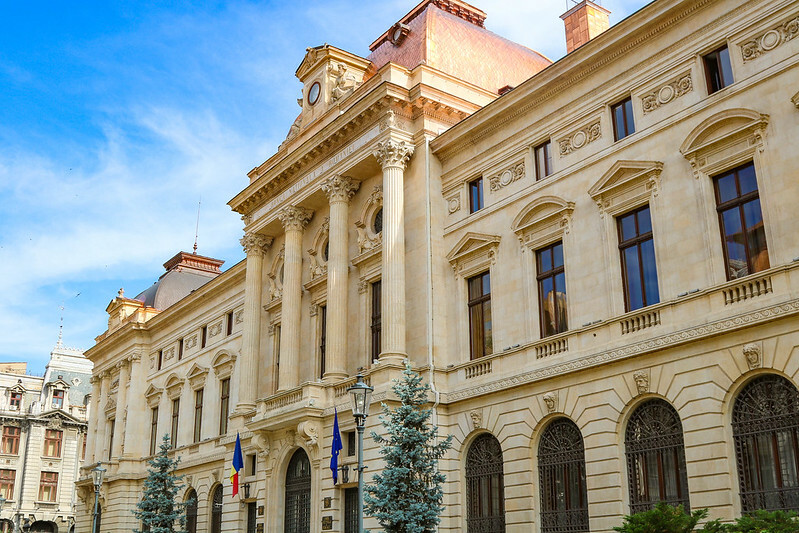 The museum currently exhibits over 100,000 works from local Romanian and International world-renowned artists like Monet, Rembrandt, Renoir and Cezanne. I already mentioned that Bucharest has its fair share of grey Soviet-style utilitarian buildings and crumbling structures. 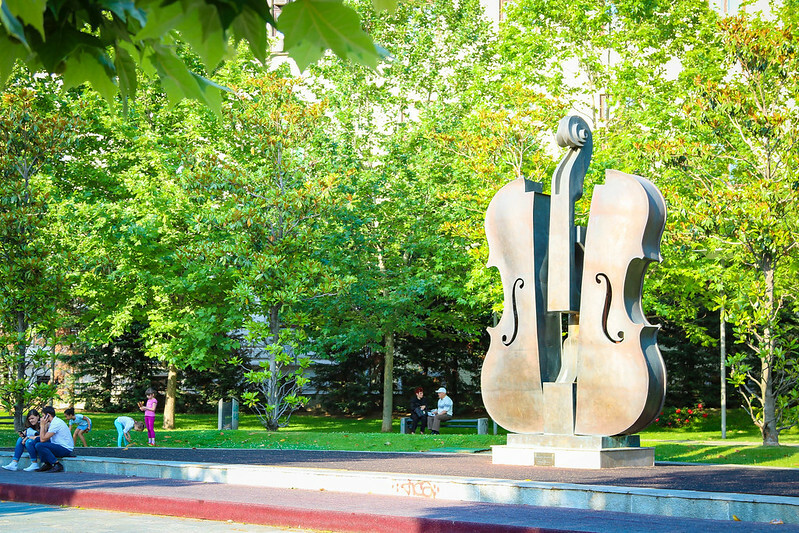 But what I didn’t tell you is that the city also has many parks where locals come to relax and hang out. The biggest park is Herăstrău Park, which is built around a lake. Other parks include the botanical garden and Carol Park, which has a mausoleum and monument in honour of fallen soldiers. 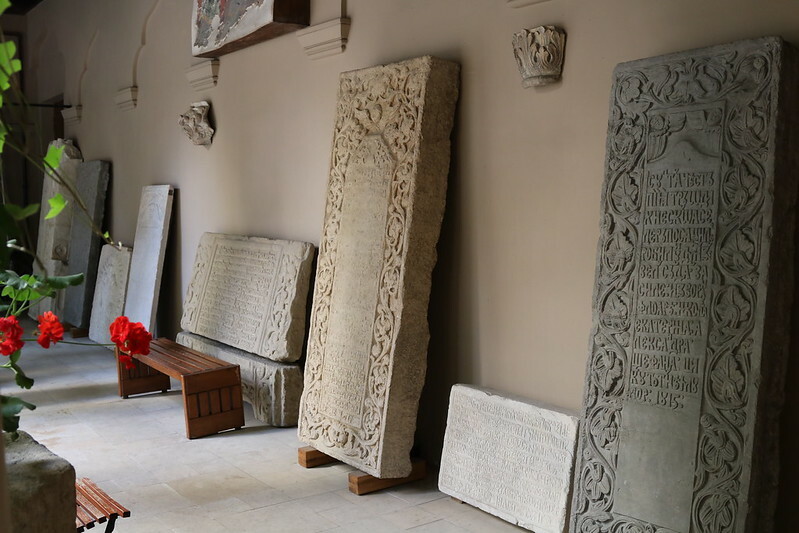 Stavropoleos Monastery was one of my favourite places in Bucharest. 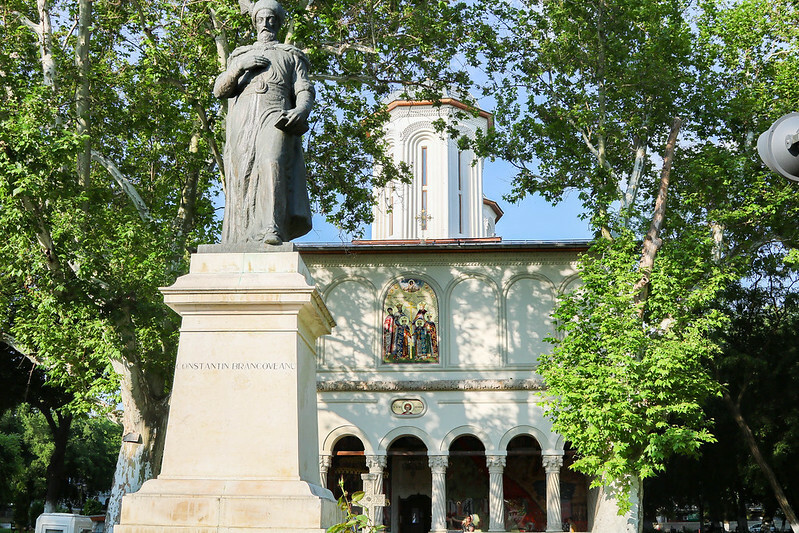 This quiet and peaceful monastery lies right in the middle of the bustling Old Town, and it’s a little oasis. 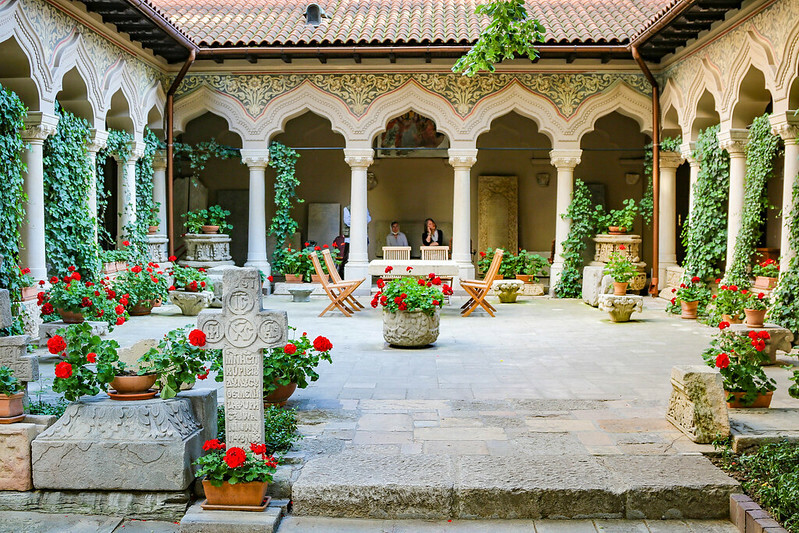 It’s built in Romanian and Byzantine style with a small garden and courtyard filled with tombstones, beautiful frescoes and wood-painted icons. It’s worth viewing or listening to the mass if you can find room in the small church. Carturesti Carusel Bookstore might be a strange attraction to highlight, but this classy, almost newly opened bookstore is worth a visit. Not just because it’s located inside a beautifully restored 19th century building and has free WiFi, but it’s a spectacular place to relax with a book and a glass of wine. On the top floor there’s a bistro that caters to all your needs. The Palace of Parliament is the world’s second largest administrative building after the Pentagon and it holds the title as the world’s heaviest building. 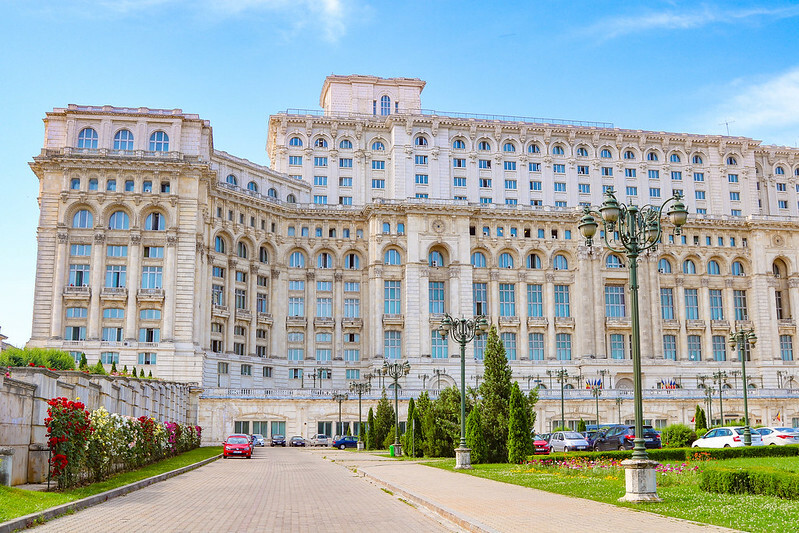 For the Romanian people, it’s also a constant reminder of the Communist regime under dictator Nicolae Ceaușescu who commissioned this monstrous building and crippled the country’s economy with its extravagance. Ironically, back then it was known as the “People’s Palace”. It took 5 years, 20,000 workers and 700 architects to build this massive structure. In total, it has 12 stories, 1,100 rooms, 4 underground levels, including an enormous nuclear bunker. We went there in the morning, hoping to get a tour around the building. But they wanted to see our passports at the entrance (which we hadn’t brought) and we would only be permitted to see a very small part of the palace. Considering that the fee was almost $20 per person (incl. camera fee) and that the benefit was miniscule, we decided to leave. I got a pretty good feeling of the hugeness from outside, though. 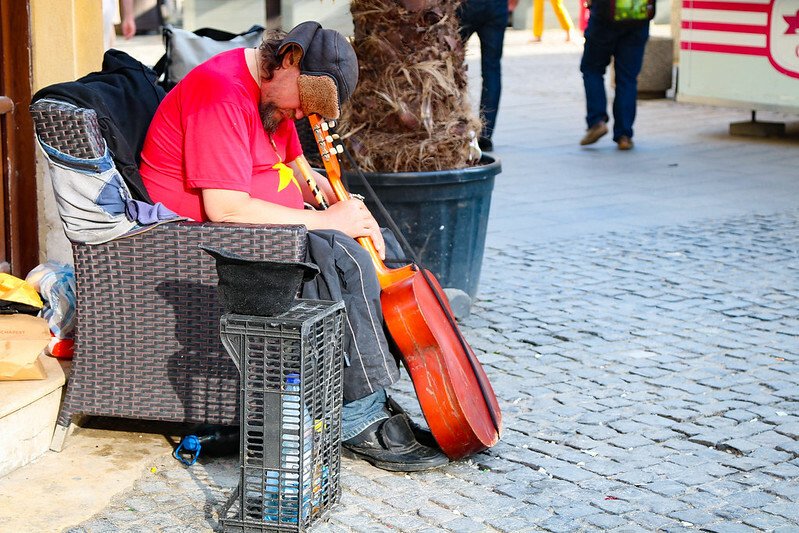 Although the Old Town is much a party area, it’s also an excellent place to base yourself when visiting Bucharest. I didn’t come for the partying, but I still stayed there and would do it over again. So my advice is: Find a hotel or hostel in the Old Town. Rembrandt Hotel – I stayed at Rembrandt Hotel, which is a stylish 3 star hotel. 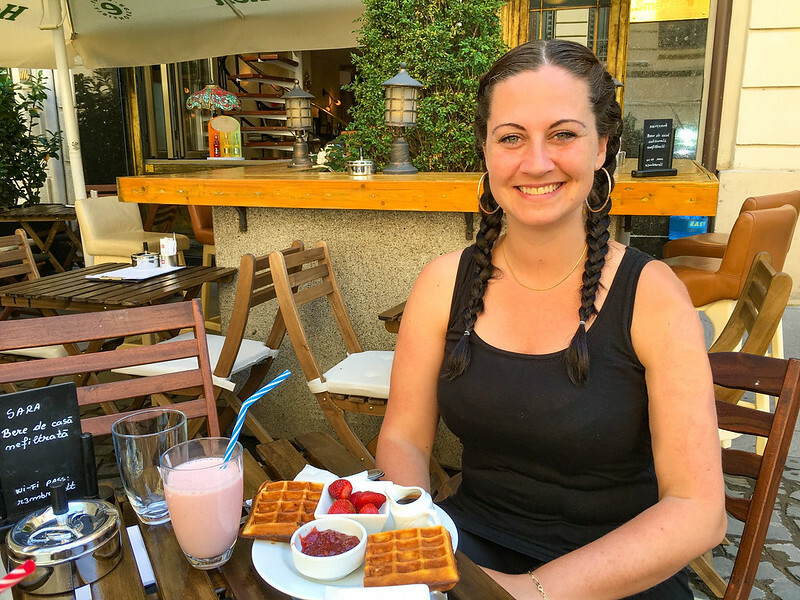 The staff was so nice and I LOVED the breakfast and their delicious Belgian waffles. It’s upscale and so is the price, but you get your money’s worth there. Click here to see the latest prices. A thousand thanks to Rembrandt Hotel and Romania Tourism for hosting us. I was a guest, but all opinions are my own as always. 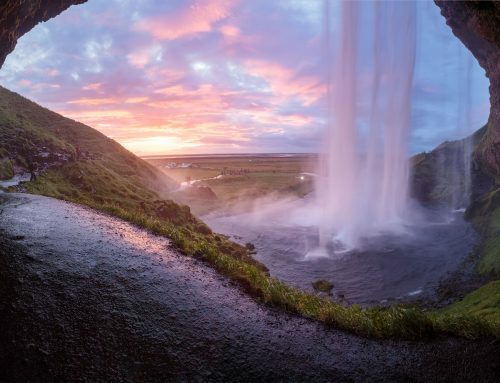 Your photos are always so amazing! Bucharest hit my radar a little more with the latest Marvel movie. 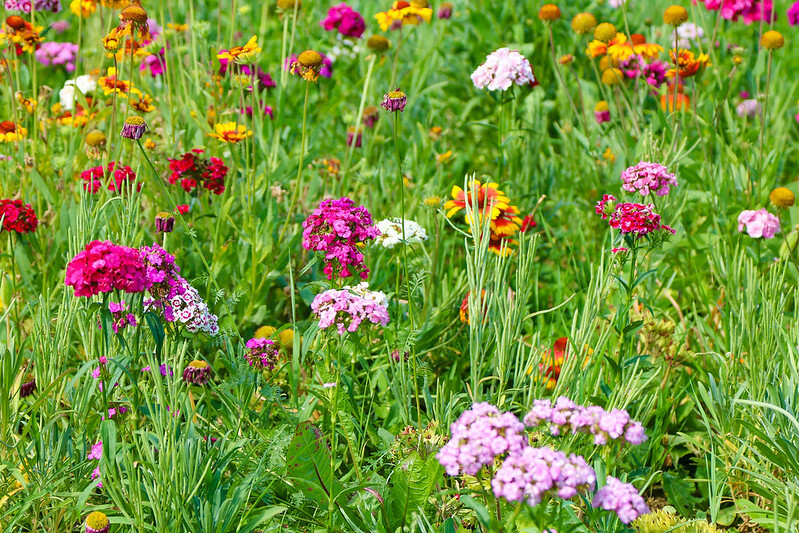 I love that they have so many free activities to do – definitely a place to add to the bucket list! Yeah, it actually surprised me how vibrant the town is; it's worth a visit for sure. Looks like a fun place to spend a long weekend. After a few days in New York recently, I think a place not covered in tourists with selfie sticks sounds pretty good! Oh, I can imagine! Are you still in the U.S.? Bucharest must have made an impression on you! 🙂 Thanks for reading. The photos that you kindly shared reminded me of the wonderful times I experienced in Buccharest earlier this year. I am planning on visiting again this time spend alittle longer. So glad I stumbled across this! we have just a full day to do what we can in September this year on our road trip, and after searching for best things to do, this is the one! 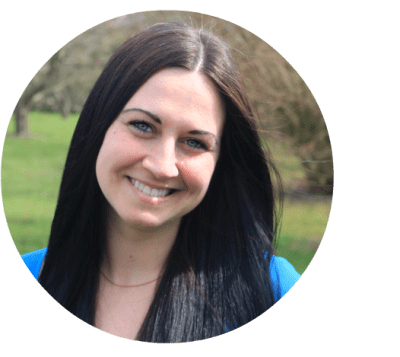 Thanks for the blog very informative. Just visited and we loved it! 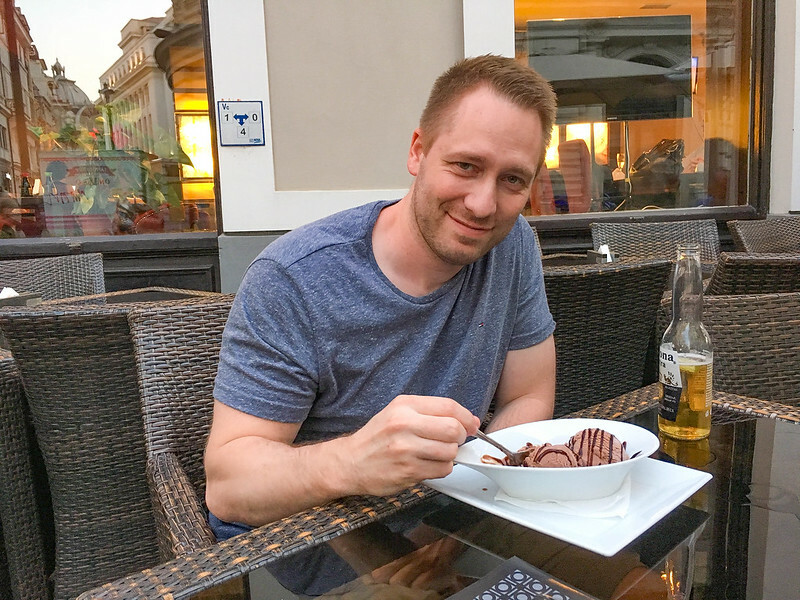 We also went to the thermal baths (Thermes) just outside the city – you should hit it up next time you go…it’s awesome! Therme is amazing indeed..probably the best place in SE europe. Good to know! Thanks for pitching in. 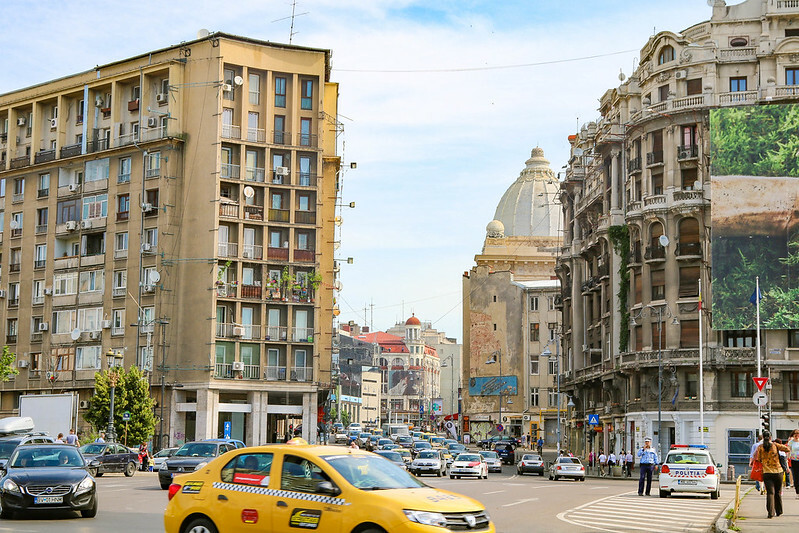 Bucharest is gorgeous indeed – my favorite place to visit in Romania. Moghioros Park is just amazing, especially at night. For those of you who travel alone to Bucharest I recommend you a stay in a gorgeous, recently-renovated apartment in Bucharest. Good tip, Adrian! I recently stayed in an apartment in Slovakia when I traveled solo. It’s a good base when you’re on your own.